Traveler Reviews for Private Tour in Mexico City, Distrito Federal, Mexico by Tour Guide Hector B.
Hector was a superb guide to the sites around and Mexico City; we went to Teotihuacan, Acolman and a wonderful Diego Rivera mural in Mexico City and so saw three eras of Mexico's history in one tour - pre-conquest, colonial and modern. Hector has so much in the way of knowledge and insights to share and was careful to tailor the tour to what we wanted to see. Also, the timings worked out perfectly. Hector leavened his great knowledge with humour, urbanity and wit - a delightful day, thank you! As I wrote in an earlier comment, Hector was our tour guide for 3 days. 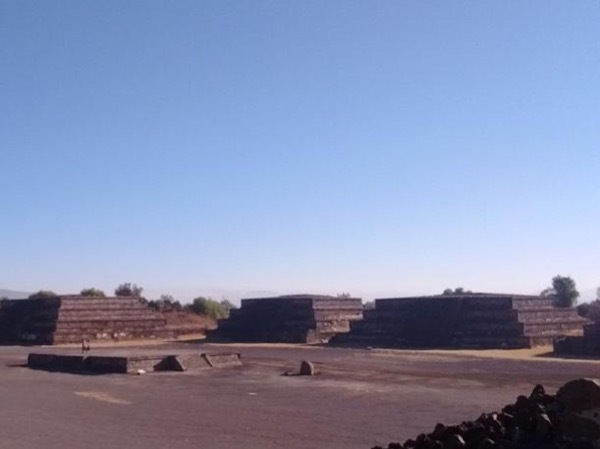 On the second day we went to Teotihuacan. Hector had us leave early to get to the site before the crowds. The methodology worked beautifully. We were the second people onto the entire site, no vendors to bother you, no crowds. We started by climbing the Temple of the Moon, then walked the site. As I mentioned before, Hector's knowledge of Mexican history is vast. His expertise is not to overwhelm with too much detail. Touring with Hector was an unforgettable experience. From the first moment we met Hector at our hotel's lobby it felt like we've known him for years. Hector's wealth of knowledge and warm, personable attitude, his wit and wonderful sense of humor made three days we toured under his guidance one of the best experiences ever getting acquainted with Mexico, with its history and culture. Hector not only shared his vast knowledge with us; he genuinely cared for us. 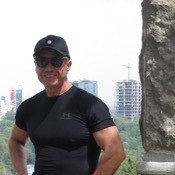 I used the services of Hector B for four tours in Mexico City. I must attest that he is an excellent guide who is very professional and knowledgeable. I would give him a 5 star rating for all the tours. I would not hesitate to recommend him to friends. Hector was VERY knowledgeable, personable and on time! He was a great tour guide. Perfect overcast weather for a tour of the pyramids. Hector took the time to explain the history and lore of the region. He allowed us the folly of climbing to the top of both the Pyramid of the Sun and Moon, carefully measuring our steps on the uneven stairs. Off to Alcolman, a church of unusual architecture and rituals, where the priests would share out from a balcony to the Indians. The basilica was our last stop to see the original Virgin of Guadalupe portrait. Amazing! Thank you again, Hector! TOUR GUIDE RESPONSE: This was a truly fun tour. Starting with Mary´s confusion with tours by locals name, that gave way to a very friendly and relax journey. I will always remember Mary´s jingle for Aeroméxico. Mary, Erika and you were just great travellers and even better travel companions. Do yourself a favor and book a tour with Hector. He is punctual, very communicative and you feel like you can ask him as many questions as you need about the sites that you are visiting. He is well informed and makes the narrative very enjoyable. Thank you Hector, we had a excellent tour! Hector was very knowledgeable and personable. A private tour costs more but is worth it. Go at your own pace, you are the only one asking questions and you have the time to really find out about the site��. TOUR GUIDE RESPONSE: Valerie. Thank you to George and you for a lovely tour. I hope to see you back in Mexico City, very soon.